Do you want to be part of a world-leading community? 20 Full Tuition Fees Scholarships. 10 of these scholarships will include a stipend for the most outstanding students. 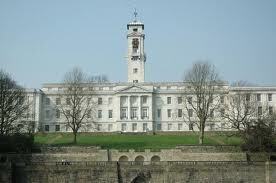 This highly competitive, prestigious scholarship is to recognise and reward applications from outstanding international students registering on engineering research degree programmes at The University of Nottingham. We are looking for applications from exceptional students who are seriously committed to furthering the boundaries of engineering, students who are excited about the prospect of working with some of the world’s leading researchers and who aspire to be the best in their profession. The spring scholarship round, closing date 1st March, is primarily for applicants who already have their undergraduate or postgraduate degree results. Applicants who do not have their degree transcripts on 1st March are normally deferred until the summer scholarship round, closing date 28th June. The high value of this award reflects the University’s aim to attract the best students from around the world and to support them during their study. It is important that you state on your scholarship application the specific topic you are interested in researching and why; applications listing broad fields of research eg ‘civil engineering’ or ‘mechanical engineering’ rarely get supported. These scholarships are for 3 years of a research programme and are subject to satisfactory progress each year. Demikianlah artikel mengenai Dean of Engineering Research Scholarship for International Excellence, University of Nottingham, UK Semoga Bermanfaat Bagi Anda.